The Tool Tutor: Should I Buy Used Tools? 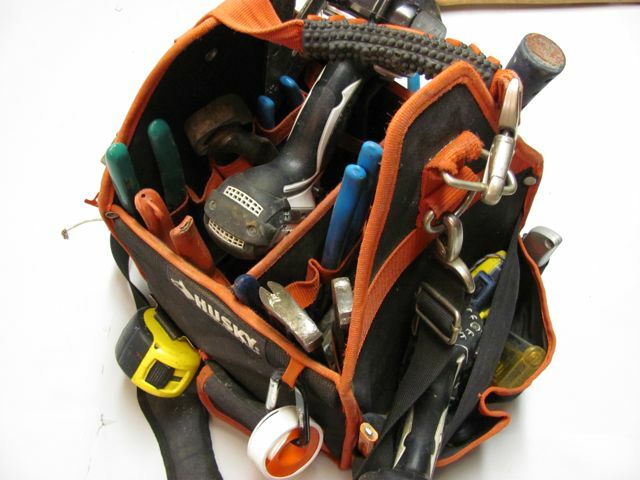 Buying used tools is a great way to save a little money without sacrificing quality. Although you do need to be cautious when buying used tools, if you follow a few simple steps you will be able to build a high quality tool collection for around half the cost of buying new tools. Some of the best places to buy used tools include local pawn shops, Craigslist.com, EBay and of course, friends and family. There are other options that are tempting but more risky. Places such as flea markets where there may be no power to test the tools (and usually no way to find the seller if you were taken advantage of) can be dicey. Buying used tools “off the street” is another bad idea. I have been lured in a couple of times when working in some areas of town that have numerous “street vendors” walking around from job site to job site with a handful of tools for sale. Buying tools like this is a bad idea. These tools are almost always stolen and it can be extremely risky dealing with some of these individuals. After they make the sale, you could very well be their next victim. Whether it’s that day or another day, once they see what you have they will remember and likely be back. Careful inspection is very important when buying used tools. Look each tool over thoroughly to make sure there are no cracks in the plastic or metal housings. Check that all moveable parts move freely and operate properly. Plug the used tool in and give it a hard test; not just a quick squeeze of the trigger. Bring a piece of scrap wood with you for a test cut or to drive a screw through. If the tool has a set of accessible brushes then remove them and inspect for damage. You can tell a lot about a tool’s condition by just looking at the brushes. Please read, “Why should I buy tools that have ‘Brushes’?” for more on inspecting the brushes. Damaged cords are not usually a big problem; cords can be easily replaced for around $10.00. A damaged cord could be used as a bargaining chip to get a lower price. Should I Buy Used Cordless Tools? Buying used cordless tools is generally not a good idea unless they appear to be brand-new or at least have a brand-new battery. A cordless tool’s battery can appear to have full strength and power but quickly drain out. This is especially true with older model cordless tools. New cordless batteries cost around $60.00 and up, so to buy new batteries for used tools may end up costing more than new tools. When buying used tools you should expect to pay anywhere from 30% to 50% off retail pricing, depending upon the condition of the tool, the type of tool, and where you are buying the tool. Your best bet for getting a good deal and knowing what you are getting is Craigslist. With this option, you should be able to give it a good test and you will have the most negotiating room. This is also the most labor-intensive method; mostly because of the potential travel involved. Whichever sellers you use for buying your used tools, inspect them carefully, test thoroughly, and negotiate fiercely. Remember, when buying used tools you should have a thorough understanding of the tool and the retail pricing before you begin shopping. This is great information. My husband often brings home tools and gardening supplies that he got for free from the Freecycle website...but they usually don't work and we end up with a garage full of someone else's junk. I will direct him to your blog so he will know where to find a better deal and nicer tools. Thank you! Place to buys used tools I know of are Http://www.ebay.com or Http://www.toolexchangeworld.com Anyone know of others?